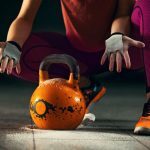 You’re not using that bag for the gym, are you? Are you schlepping around some old backpack instead of a proper gym bag? Is an old school bag really the best CrossFit gym bag? 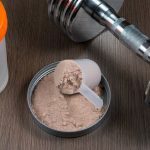 If you are tired of hunting through your bag looking for your chalk and grips, or shoving sweaty gym clothes and shoes in with your other gear listen up! 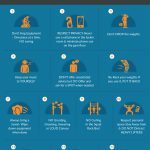 Below is a short guide to finding the best CrossFit gym bag, plus an in depth review of 17 of the best CrossFit gym bags I could find to help you upgrade your CrossFit gym bag. 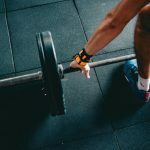 What Gear Should I Pack in My CrossFit Bag? 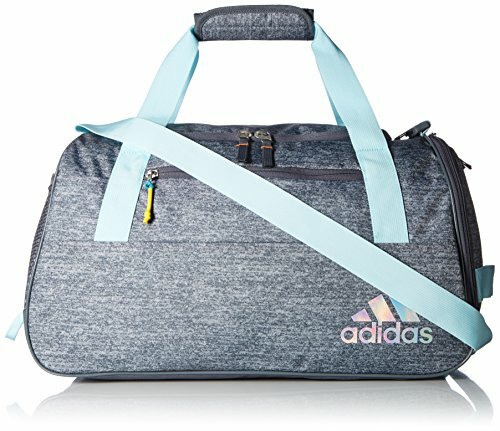 What is the Best Material for a CrossFit Gym Bag? 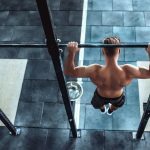 What Brands Make the Best CrossFit Bag in 2019? Ok, this is super important. I want you to think about this carefully. Your gear needs circulating air and materials that inhibit microbes, and what the bag is made of, and how it is constructed, play a part in this. 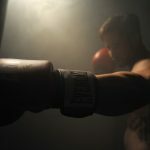 If you have ever done any boxing or martial arts using pads or gloves, you know what I am talking about. 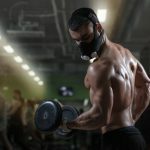 That equipment can get stinky! Well ventilated. Think mesh windows or mesh panels. Made of material that breathes. Natural material like cotton and hemp breath better than nylon or synthetics. Look for antimicrobial material as well. OK, once you know what you have, you will know what size bag and what bag features you need. If you change at the gym or box, you need a bag that can accommodate a towel and change of clothes. Look for a bag that holds your water bottle, because everyone should bring one. If you like to drink a shake before or after, make sure the mesh pouch fits the shaker cup. Careful here, some mesh pouches don’t fit a standard shaker bottle, and that’s a shame. Many Crossfiters carry lifters when heavy lifting is on the WOD. If you change shoes, look for a bag that can store the shoes away from other gear. Look for bags that have small fleece lined zippered pockets that protect valuables like wallet, phone and sunglasses. Look for organization pockets that can hold your gear separate from clothes and towels, so you are not digging, like a squirrel looking for a nut trying to find the gear you need. Keep gear separate. Let’s stay organized here, folks! 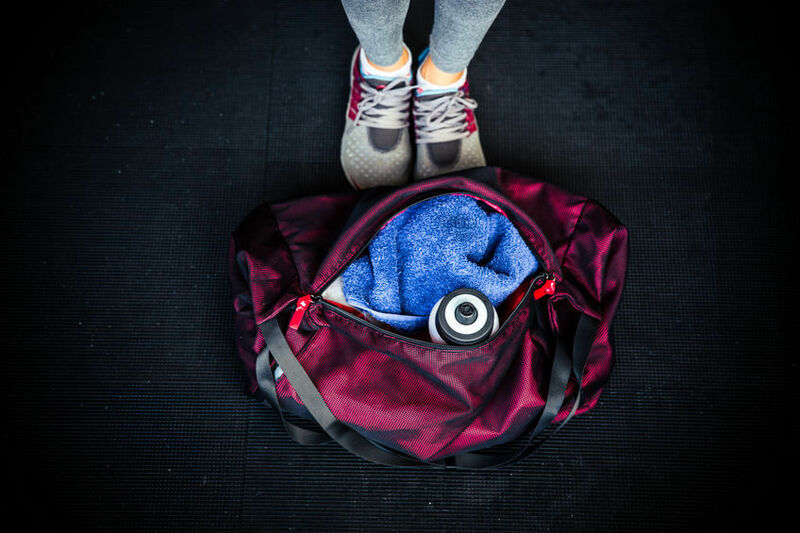 The best CrossFit bags have a separate waterproof compartment for wet, dirty and nasty items. The elite of the elite made the wet bag removable. Any way you slice it, you need a wet bag, so look for a bag that has one. 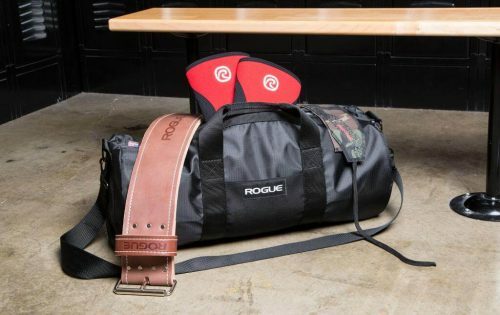 The best CrossFit bags come in two styles, the backpack or the duffel. While this is largely a preference issue, may I suggest those that travel with their bag may be more comfortable with a backpack. Those that throw the bag in the backseat or trunk of the car might prefer a duffel. Knee sleeves, chalk, water bottle, shaker, jump rope, lifting belt, gym shoes, grips, keys, phone, wallet, sunglasses, gym towel, supplements, CrossFit shorts, CrossFit shirt and a change of clothes. 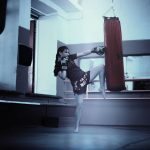 If you are in MMA, boxing or martial arts remember you need extra space for gloves, pads, headgear and all that. Try to find a 15 gallon bag or larger is you carry a lot of this kind of gear. The best material I have seen for a CrossFit gym bag is 1680D Ballistic Nylon, which is both water resistant AND heat resistant, up to 365 degrees! This 1680D Ballistic Nylon is found on the Orange Mud bag, which is one of my favorites. 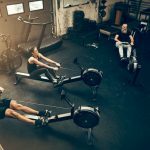 I would say at a minimum, look for 1000 Denier nylon or Kordura material to get the best CrossFit gym bag, on that will last a long time. 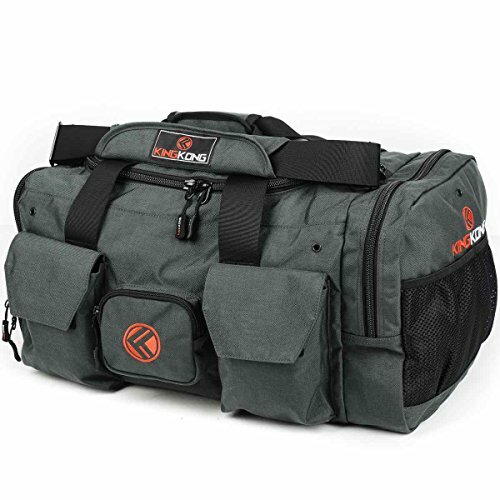 Rogue, Topo Fitness, Reebok, Orange Mud, Adidas, Nike, Under Armour, King Kong, Datsusara, Puma, Ironman, and Bear Komplex all made reliable, hard wearing and functional CrossFit gym bags. So, without further ado, let’s get to the reviews. Review: This Bear Komplex CrossFit gym bag has ample and well organized storage. It has two compartments to hold shoes, three outer organization pockets on the front, one zippered and one mesh pocket on the end, and a roomy main compartment. It is made from tough nylon, and has a padded shoulder strap making it comfortable to lug around. 2 stacked shoe compartments on one side. Ample and organized storage – many separate pockets. No good place to carry a water bottle on the outside of the bag. 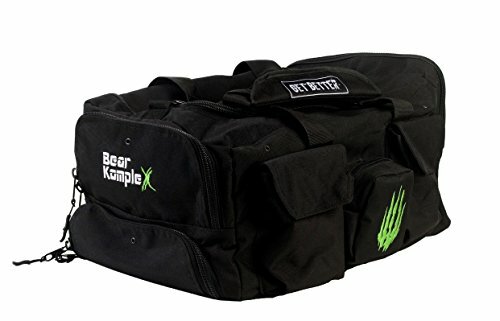 Go big and get organized with this big bear Komplex CrossFit bag. 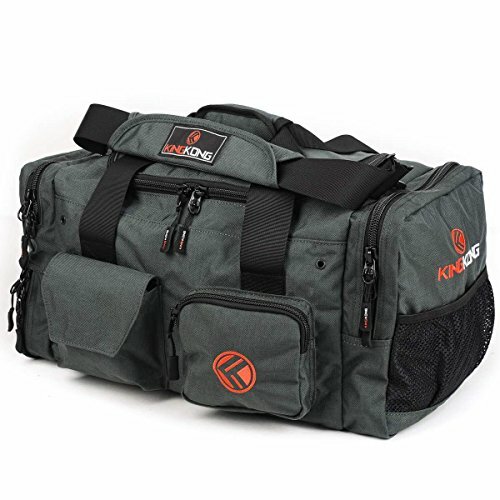 Review: This Classic Style duffle by Rogue Fitness is tough and functional. It has a large main compartment, one small inside pocket and one small outside pocket. It is made from seriously durable rip stop nylon on the outside and 1000 D Kordura on the inside. You can manhandle this bag and it will still last for years. 1000D Kordura on the inside, and rip stop on the outside. Zipper spans entire length of the top of the bag. Thick shoulder carry strap and reinforced handles. No separate compartment for shoes. 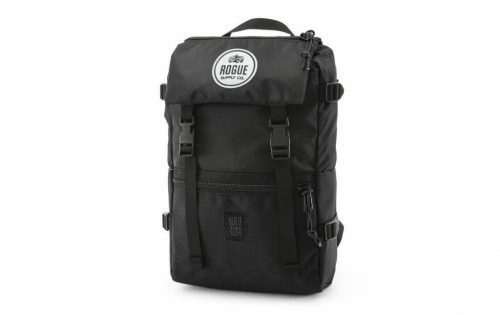 Rugged and ready to go, this Rogue bag will fit all your CrossFit gear and then some. Review: This attractive CrossFit bag is one of the best gym bags for CrossFit for women. It has a freshPAK shoe compartment that allows air to circulate and keeps shoes separate from your other gear. It is big, but not too big, and can fit everything you need. It has a mesh side pocket so you can stuff a water bottle or shake in their as you head out the door. Plus, it’s really attractive in sky blue and heather grey and the unicorn shimmer Adidas logo is a nice touch. Attractive style for women, many cute colors available. Pockets and internal organization is plentiful. Shoe compartment size is limited, not for men or women who wear larger than size 10 shoes. 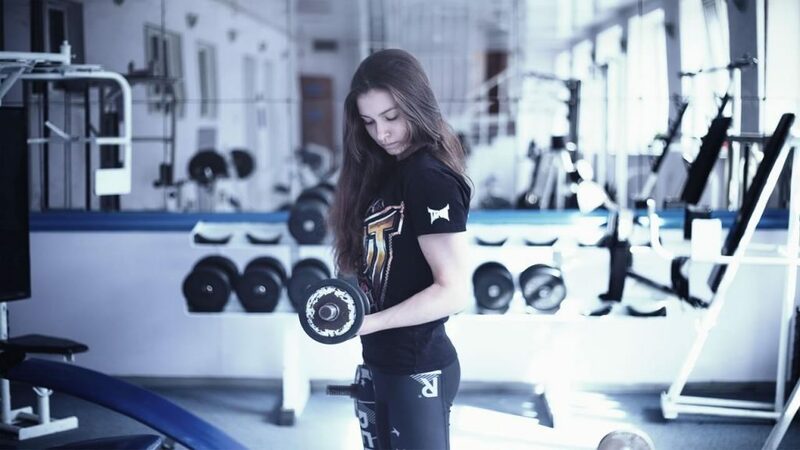 Stylish and functional, a female CrossFit athletes best choice for a gym bag. Review: This TOPO Designs backpack is rugged and strong, but has clean lines and a minimalist style that make this a very attractive men’s CrossFit backpack. It is pretty big, especially for a backpack. 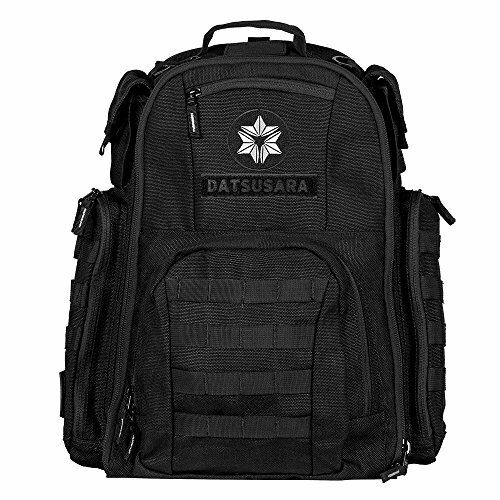 It holds a water bottle or shaker on either outside pocket, has several small zippered pockets to store your gear and personal items, and padded, reinforced shoulder straps and carry handle. Comfortable padded shoulder straps and reinforced carry handle. No separate compartment for wet clothes or shoes. 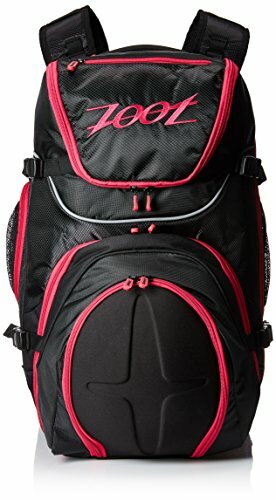 Best CrossFit backpack for the gym or box! 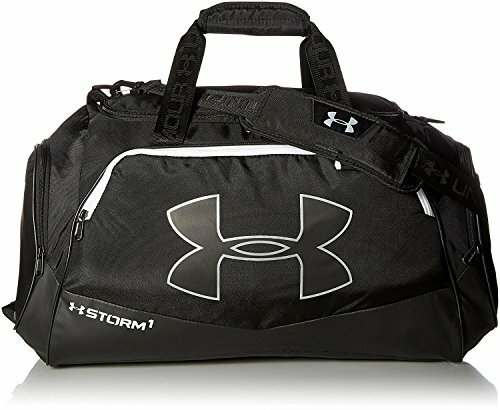 Review: This attractive Under Armour Storm Undeniable II CrossFit duffle bag is a winner. It has 4 zippered pockets on the outside, including a rather large one that organizes all your stuff. The inside main compartment also has a smaller zippered pocket, and the bottom of the bag is lightly padded too. The large vented side pocket is perfect for an extra pair of shoes or dirty gym clothes. Large vented exterior wet/dirty storage pocket. Luxuriously padded shoulder strap with UA logo. Shoe compartment needs to be a bit larger. 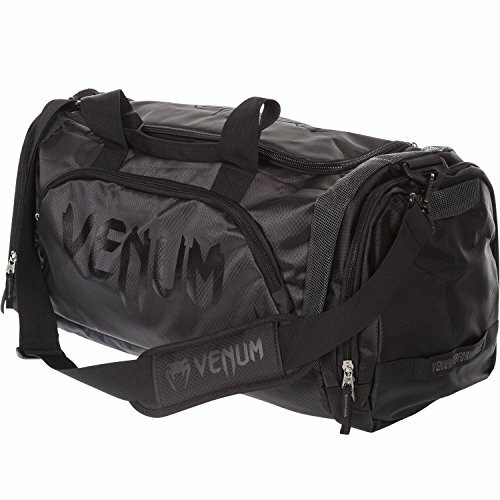 A stylish CrossFit Duffle gym bag with a shoe tunnel and good organization. 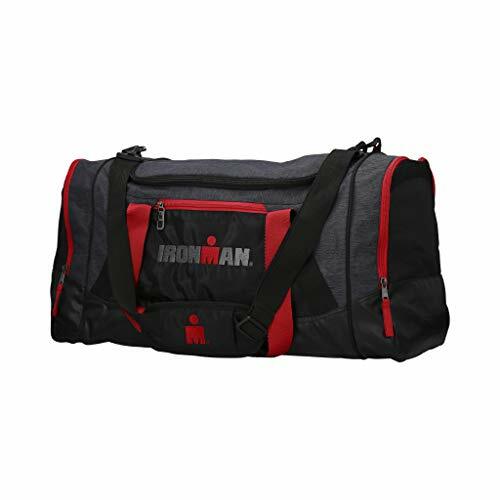 Review: This Ironman duffle bag is what the big boys use at the box and out in the field. It is huge – over 15 gallon size. The bag has a roomy interior compartment that fits larger gear, like boxing gloves, and a side shoe tunnel pocket to keep shoes and dirty or wet things away from the main compartment. There is plenty of organization built into this bag too – it has external zippered pockets with key clip and internal mesh pocket inside one of the side pockets. Several exterior zippered pockets, good organization. Padded shoulder strap with Ironman logo. No place to store your drinks upright. A large, roomy & useful CrossFit gym bag for the box or field, or wherever your training takes you. Review: This stylish Nike Brasilia duffle bag sports has clean lines and a striking appearance. It is quite large, and has a generous main compartment with a U shaped zipper so you can see and access your gear quickly. The shoe tunnel stores your wet or dirty items away from other gear, and the mesh outside pocket can home a water or shaker bottle for easy access. Shoe tunnel or wet/dry compartment. No smaller pockets for little items, like keys. 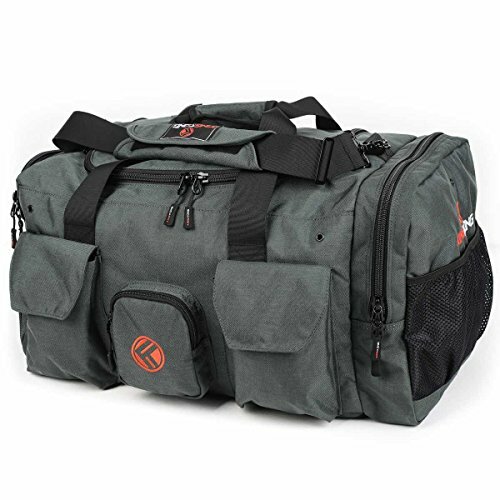 Attractive, high capacity CrossFit duffle with shoe storage. 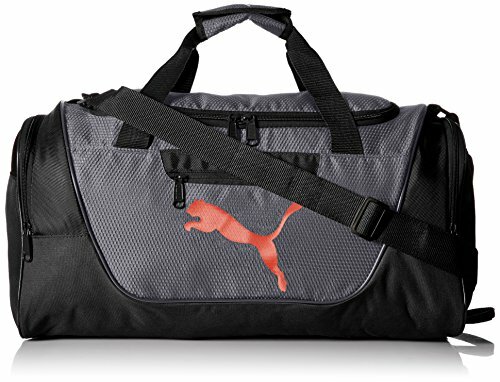 Review: This Puma Contender duffle bag is more compact than other CrossFit gym bags. 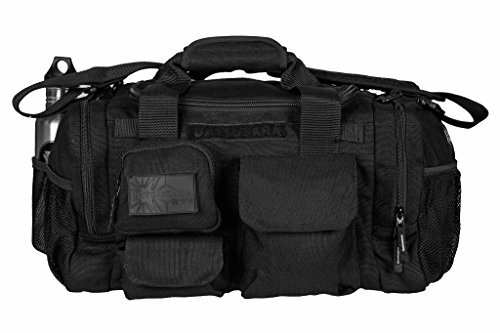 It is just 10 gallons, but is a great bag for those who need a more streamlined gym bag. It has a shoe tunnel, just like bigger bags, but the shoe tunnel takes up more of the main compartment, naturally. The main compartment has a U shaped zipper allowing easy access and view of all your gear at once. Side shoe compartment or tunnel. U shaped main compartment zipper for ease of access. Won’t hold a lot of large gear, especially when shoe compartment is full. Review: I love this bag. It looks great, it’s sturdy, and has a lot of modular storage. The orange makes a perfect contrast with the black, and the seatbelt style straps set this bag above the rest. The wet/dirty bag is secured by hook and look to the inside of the bag, and it is removable and there are several other storage pockets to get everything organized. It is durable too, the quality put into this bag means it will last years. Really cool seatbelt straps are strong and stylish. Ballistic nylon outer is both heat and water resistant. Two internal wet dry bags for shoes or other dirty items. Just a really cool, functional bag that will last and last. It’s worth the price, folks! Review: This enormous bag has separate pockets for two pairs of shoes, a mesh side pocket for a shaker cup or water bottle, the main compartment big enough to hold workout clothes, a towel, plus a change of clothes, made with indestructible 1000D nylon and high quality KYY Zippers. 2 Shoe pockets that keep shoes separate from other gear. Shoe pockets fit large shoes, so if you have big feet, this one’s for you. 6 Gallon capacity, one of the largest we reviewed. Several smaller zippered pockets to stay organized, including small accessory pockets on the front side. Internal zippered pocket in the main compartment. Padded hand strap and shoulder strap. Having the shoe compartments stacked one on top of the other can make the bag unbalanced, or lighter on one side than the other. Enough room to satisfy even Godzilla himself. With this King size duffle bag; you have no excuse for leaving any equipment behind. The biggest, baddest and best CrossFit duffel bag we reviewed. 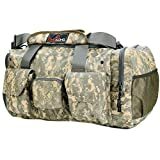 Review: This is the original King Kong duffle bag and is about 4 and a half gallons smaller capacity wise. It is still quite large with 11.9 gallon total capacity, and like its big brother, the original also has two shoe compartments and a large main compartment. Plenty of zippered pockets on the front, both a hand and shoulder strap, padded for comfort. Two shoe compartments to keep shoes separate from other gear and clothes. Several smaller pockets up front for phone, wallet, sunglasses and other small items. High quality, smooth gliding YKK zippers you can open with one hand. Side pockets are water resistant and double as wet bags. The main compartment could use some organization pouches or zippered compartments. This bag is big enough to carry most everything needed for a CrossFit workout, provided you don’t bring your own plyometric box. While it’s not as grandiose as it’s “Giant” brother, it’s 11.9 gallon capacity should be able to handle all your gear, clothes, etc without weighing you down. Review: This is the baby of the bunch in the King Kong duffle CrossFit bag lineup. This King Kong Jnr bag “Only” has an 8.7 gallon capacity, which is actually still pretty darn big. This model sports one shoe pouch instead of two and is 30% smaller than the original. Two zippered side pockets, two front accessory pockets. Main compartment is big enough for a towel and change of clothes. Neither mesh pocket is the right size for a standard water bottle. 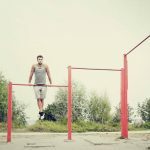 Excellent for the CrossFit minimalist, the athlete on the GO, and those who don’t necessarily want to change clothes and shoes at the gym or box. Review: This CrossFit backpack is very different from your average pack. 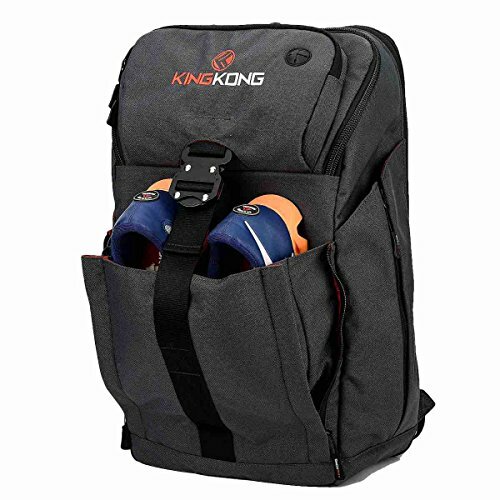 It has a shoe compartment, which is not surprising since it seems to be a standard feature on King Kong bags, and we love that it keeps our shoes away from our clean clothes, towel and other equipment. This backpack is surprisingly big thanks to its suitcase style zippered opening on the back. Shoe compartment, unique among backpacks. Huge suitcase style opening for main compartment. Plenty of internal organization for cell, accessories, credit cards, wallet etc. Zippered pouch on top perfect for holding phone or mp3 player, with ear bud port. Could use one more pocket or inside compartment for wet or dirty items. This backpack was designed with Crossfitters in mind, and has many of the features of the popular King Kong duffle bags, in a compact design you can easily carry on your commute or on the way to the gym. Review: This Datsusara mini duffle is made from hemp, a renewable material 4 times stronger than cotton. The bottom is 60D nylon for water resistance. The main compartment can hold a towel and change of clothes comfortably and there are ample zippered pockets for accessories. Ample drink storage. Holds large water bottle/shaker cup with mesh pockets on each end. No separate dedicated shoe compartment. If you carry water, a protein shake, your coffee and an energy drink with you to the gym, guess what? This bag can hold them all – at the same time. Plus it is made from a renewable, super strong fiber, hemp. 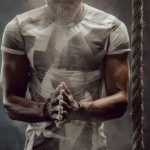 Hemp breathes, wicking moisture away and out. Hemp has natural antibacterial properties too. Review: This large bag has mesh windows built in that allow plenty of air to circulate and dry your equipment between uses. It has a large side pocket that could be used for shoes, or as a wet/laundry bag. This is one of the largest CrossFit bags we reviewed. Several mesh panels/windows to air out gear. Large side pocket can fit dirty wet items or shoes. Several small zippered pockets for cell phone, wallet, sunglasses etc. This budget priced duffel is large enough to hold all your gear for the WOD without emptying your wallet. Review: While not technically a CrossFit backpack, this huge 13.74 gallon capacity monster has everything the serious CrossFit athlete needs. It has a large removable wet/dirty bag to separate items. It has a helmet pouch on the front, which could be used for shoes, or a helmet if you ride. While large, it was designed for the comfort of triathletes, so if you travel or commute to your box on bike, foot or train, this pack can carry all you need. Pouch on outside for shoes or helmet. Large Inner zippered mesh pouch. Super comfortable padded back and shoulders. Large enough for workout clothes, shoes, towel and change of clothes, plus gear. Fleece lined accessory pockets so you don’t scratch your glasses or phone. Some may find the backpack too big. 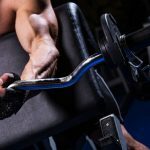 This is ideal for the commuting CrossFitter who needs to be ready for whatever the day throws at them without having to return home for something. It securely stows dirty clothes in a sealed removable compartment. 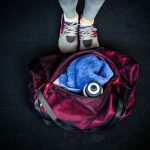 Easily the best CrossFit workout bag for travelers or commuters, plus it is carry on friendly! Review: This heavy duty hemp backpack has a generous 8.5 gallon capacity that is accessed thru a zipper that opens the front panel completely so you can lay it down and pack it like a suitcase. Two side pockets big enough to carry most size water bottles and shakers. Upper pocket lined with microfiber can hold cell or MP3 player, with port for ear buds. Back panel zips down to reveal padded slot for laptop or tablet. Large lower pocket with divided storage, to hold your smaller CrossFit gear. We love this hemp backpack, not only because it is a renewable fabric, but because it breathes and helps your gear from becoming stinky, and anyone serious about CrossFit knows what I mean by that. Plus, in the mid-size backpack format, it is compact, portable, yet big enough to hold all your gear. We think this is the best CrossFit backpack we reviewed because the all-natural hemp keeps things dry and stink free. We like that! By now we are confident you have an idea of the best CrossFit gym bag for you. 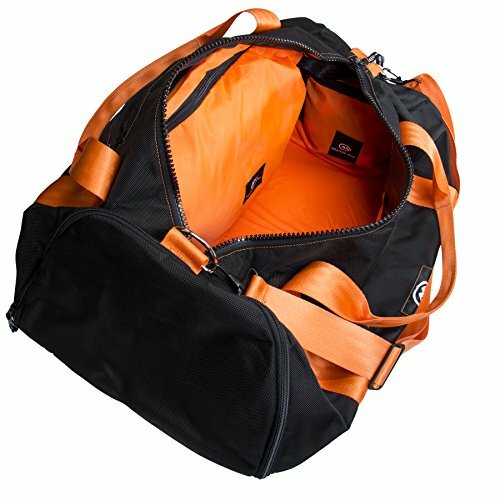 If money was no object, I would get the Orange mud gym bag, but if I wanted a great gym bag for a bargain, I would set my sights on the Under Armour Undeniable bag which is a lot less expensive and still really attractive and useful. We wish you the best, stay strong and keep on fighting! Don’t forget to subscribe to the newsletter below. 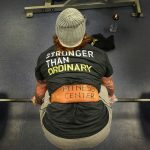 Just enter your email address and we will send the latest gear reviews and fitness news your way.